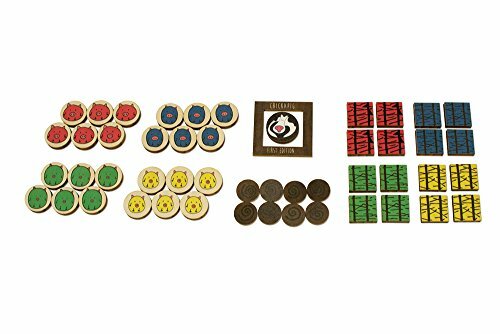 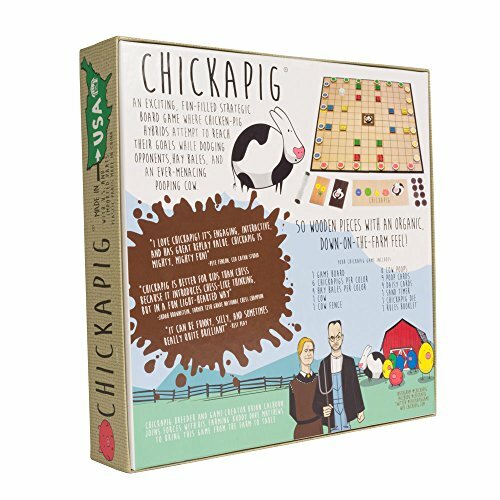 Break your flock of Chickapigs free while dodging opponents, hay bales, and an unruly pooping cow in this strategic board game. Chickapig breeder and game creator Brian Calhoun joins forces with his farming buddy Dave Matthews to bring this game from the farm to table. 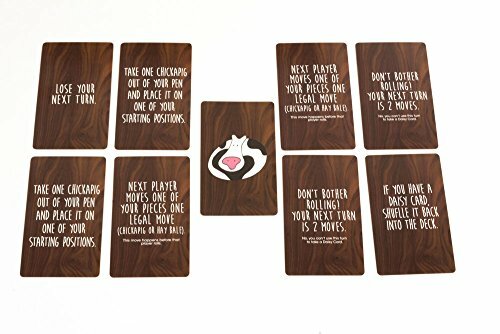 • “It can be funny, silly, and sometimes really quite brilliant” – Best Play • “Chickapig is better for kids than chess because it introduces chess-like thinking, but in a fun light-hearted way” – Judah Brownstein, former 12th grade National Chess Champion • “I love Chickapig! 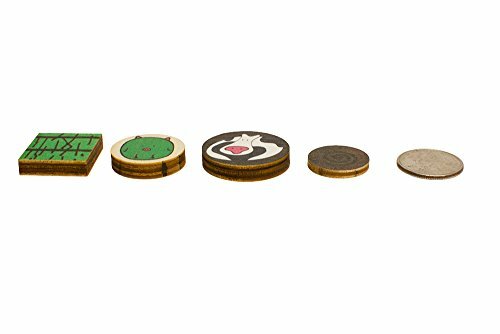 It’s engaging, interactive, and has great replay value. 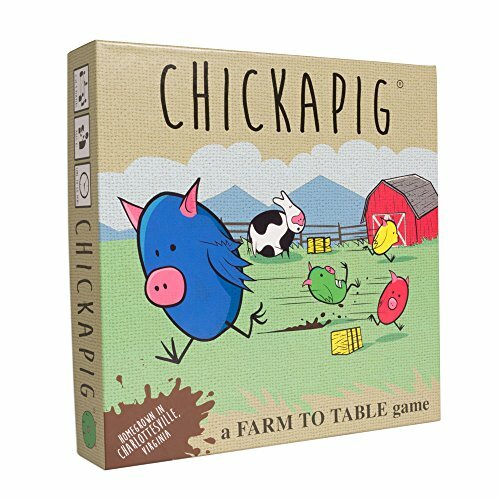 Chickapig is mighty, mighty fun!” -Pete Fenlon, CEO Catan Studio • “The future looks bright for this farm-to-table age-versatile game. 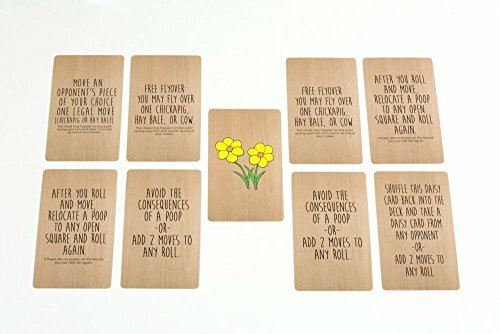 That is, until you slip in the poop and have to pick up a poop card” -Entertainment Weekly • “I cannot recommend Chickapig highly enough” – Coleman Charlton, Managing Editor, Catan StudioAWARD WINNER – 2018 TOY OF THE YEAR Nominee & “Recommended by MENSA MIND GAMES” winner! 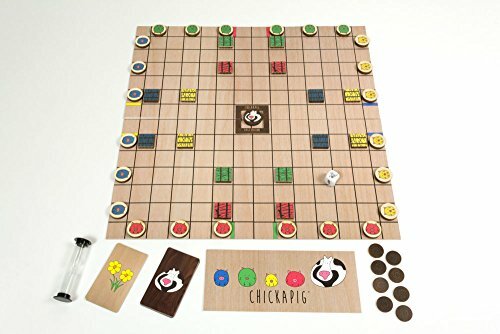 AN EXCITING, FUN-FILLED STRATEGIC BOARD GAME where chicken-pig hybrids attempt to reach their goals while dodging opponents, hay bales, and an ever-menacing pooping cow. 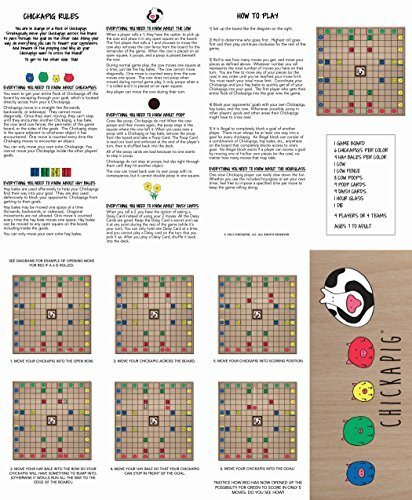 EASY TO LEARN but serious chess-like strategy with just enough luck to keep everyone competitive. 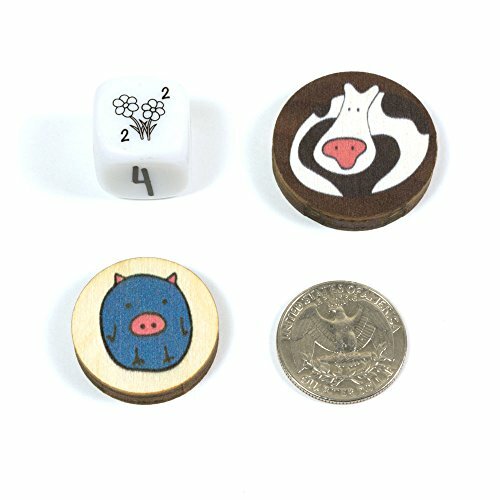 MADE IN AMERICA – Over 50 wooden pieces with an organic, down-on-the-farm feel!